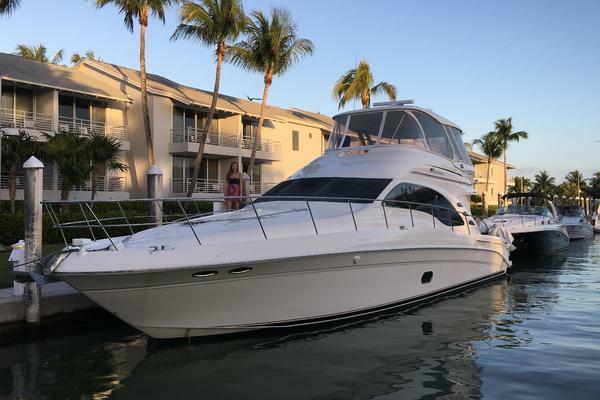 United Yacht Sales New Jersey would love to guide you through a personal showing of this 58' Vicem Flybridge 2008. This yacht for sale is located in Newport, Rhode Island and priced at $1,150,000. For a showing please contact us by filling out the form on this page and we will get back to you shortly! "Cetacea" is offered by her owner following a terrific term of ownership. Recent attention to her interior, engine room and varnish have her in tip top condition. Previously, she had been lightly used "summers" then stored in a heated shed and maintained by one of New England's leading service yards, always kept in "bristol" condition. She is a traditional downeast style flybridge motor yacht powered by twin MAN 1100hp diesel inboards. She cruises in the 24-knot range with a top speed approaching 30 knots.Built using Cold Molded composite construction with high-quality materials and components. The hull form is Deep Vee with hard chines, a graceful sheer, significant bow flare and tumblehome aft. 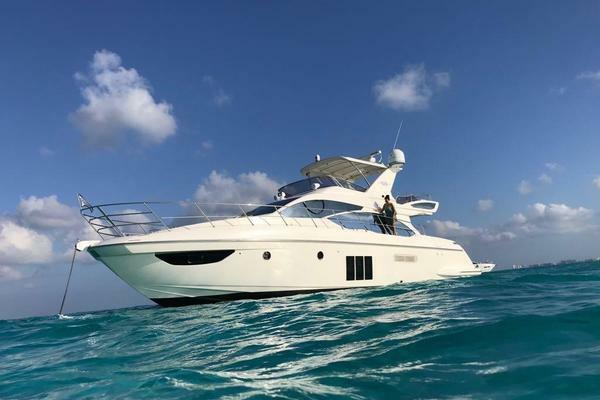 The original owner took advantage of the opportunity to incorporate numerous enhancements and system upgrades during production resulting in an exceptional example of this model. The vessel has dual helm stations, on the flybridge and (lower) in the forward starboard part of the salon. There is a comfortable cockpit aft with curved stair to the fly bridge.Thelower deck has the Galley to port and three staterooms. There are two heads each with separate stall shower.Thespacious master is forward with private head and w/ shower. Aft of the master and to port is a guest cabin with opposingupper and lower twin berths. Across the hall is the guest head w/ shower which isdualentry from the passagewayas well as en-suiteto the VIP guest cabin aft to Starboard. This cabin has fore & aft oriented twin berths.Machinery spaceis accessed via a deck hatch in the cockpit; the aft areas house system components, a watertight door in the forward bulkheadleads to the engine room which is equipped with twin Man engines, and there are two generators.The vessel offers wide side decks withSS Safety rails, superior ground tackle, and working foredeck.There are comfortable entertaining and dining spaces in the salon, cockpit, and flybridge. Tender handling is via cockpit transom door to the Teak swim platform and hydraulic Freedom Lift(tender not included).